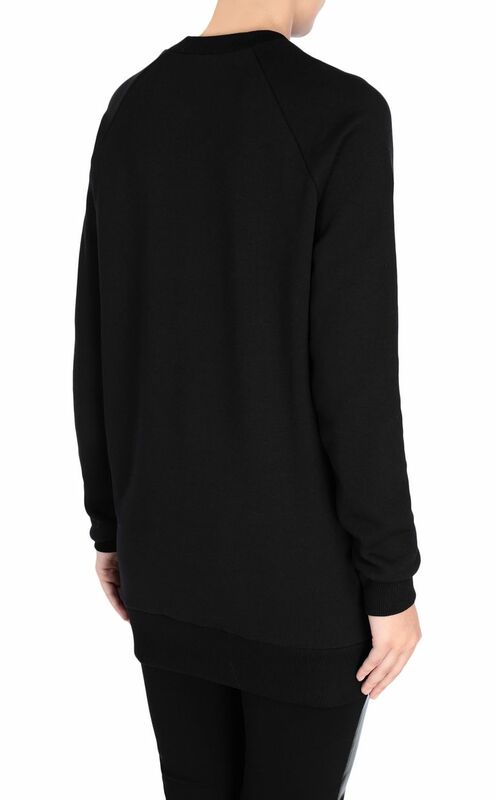 Oversized cotton sweatshirt. 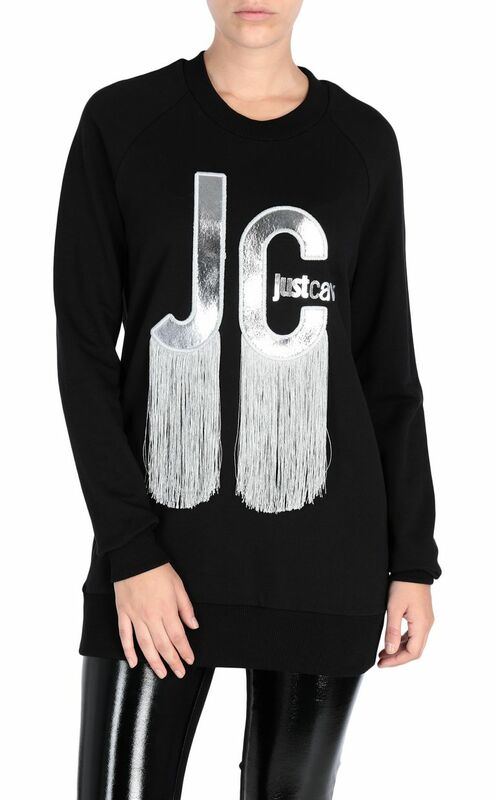 The front features appliqué JC logo embellished with a long fringe trim. 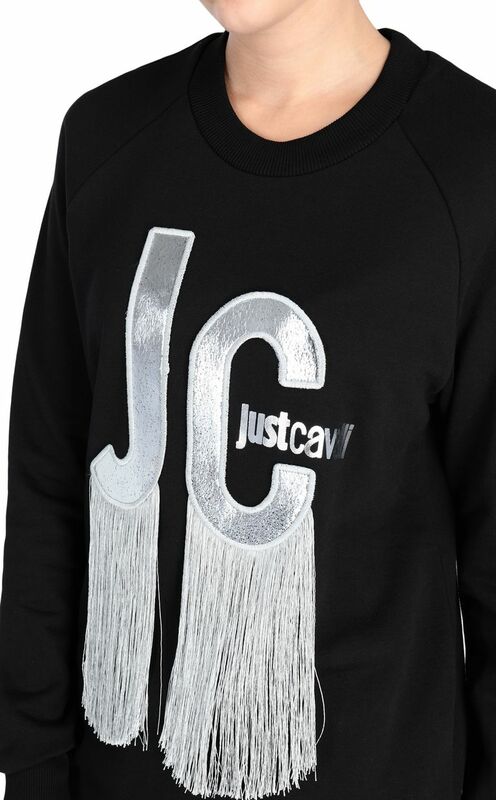 Long sleeves with cuffs. Slightly elongated shape.